Boba, or "boba pearls" or "tapioca balls" as they're commonly called, is a key ingredient of the popular Asian drink boba tea, which was reportedly invented in the 1980s in Taiwan. During a meeting at Chun Shui Tang teahouse, an employee dumped her dessert -- fen yuan, or sweetened tapioca pudding -- into her iced tea and a global craze was born. Boba tea goes by a variety of names, depending on what part of the world you're in: bubble tea, pearl milk tea, pearl tea, pearl shake, black pearl tea, tapioca pearl drink, to name just a few. In addition to tea-based drinks, bobas can be added to smoothies, coffee, even alcoholic drinks. What Is a Boba Pearl? Bobas are round tapioca balls about the size of a marble, with a neutral flavor and a gummy, almost chewy texture. They're made from tapioca starch, which is from the cassava root. The tapioca balls can either be white and translucent or black, depending on the ingredients. White tapioca pearls are made out of starch, chamomile extract and caramel, while the more recognizable black versions are made out of starch, brown sugar and sweet potato. But you can make pearls almost any color by soaking the white pearls in colored drink syrups. Bobas are high in both calories and carbohydrates, so on their own they offer very little nutritional value: A single serving of boba (1/4 cup) contains 136 calories and 33 grams of carbohydrates. Since these tapioca balls don't really taste like anything, they're often soaked and stored in a sugar syrup to give them flavor. How Many Calories Are in Boba Tea? 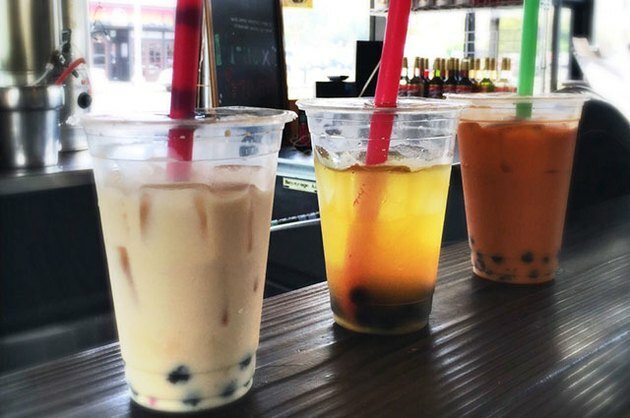 Boba tea comes in a variety of styles, but the most popular are either a fruit-flavored tea or a milk-based tea. But keep in mind that's the most basic version; it doesn't include other additions you can add (and most people do) like flavored powders, fruits like strawberries, watermelon, mango, red beans, papaya, ice cream, fruit syrups, Nutella, etc. Boba tea can also be made with half-and-half, sweetened condensed milk or other milk products. All these additions can pack on even more calories and carbs. For reference, the American Heart Association recommends no more than six teaspoons of added sugars for women and no more than nine teaspoons for men per day. A basic boba tea contains (at a minimum) two tablespoons (or six teaspoons) of sugar. So, unless you want to blow your daily recommendation of sugar (and probably more) in one go, then boba tea may not be the best option. In addition, the carbohydrates in boba tea are "simple sugars," which means they are broken down by your body quickly, resulting in a spike in your blood sugar levels. Isn’t Tea Good for You? Studies have shown that tea, especially black and green teas, have a number of health benefits. Teas contain anti-inflammatory chemicals called polyphenols, which are antioxidants. These lower your body's levels of oxidants, which may raise the risk of cardiovascular disease. Tea may also lower your risk of other health issues like diabetes and high blood pressure. 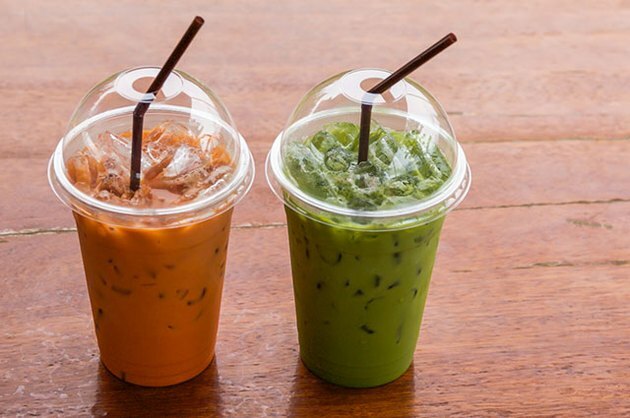 However, the relatively small amount of tea in a boba tea drink and the sugars that are added will most likely offset any benefits of the tea. In recent years, there have been some alarming reports about toxic chemicals found in batches of boba pearls. In 2013, health officials in Taiwan seized about 300 tons of food starch -- an ingredient in boba -- after finding evidence of a food additive that can cause kidney failure if consumed in large amounts. In 2012, media outlets reported on a single study from a German university that found traces of the chemicals styrene and acetophenone in a batch of boba from a Taiwanese manufacturer. But a 2013 report from the University of Berkeley disputed the conclusion of the lead researcher, who claimed that the chemicals found were a type of cancer-causing PCBs (polychlorinated biphenyls), which were banned in 1979. However, according to the FDA (Food and Drug Administration), those chemicals are not, in fact, PCBs and are "legally permitted to be added to food as synthetic flavoring substances, and are regulated as such by the FDA." Despite these additive scares, there have no confirmed reports of illnesses as a result of drinking boba tea. 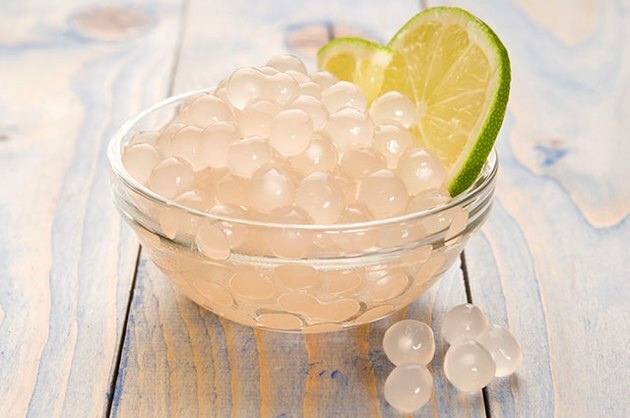 Boba pearls just on their own are fairly high in carbohydrates and calories, but when added to a milk-based drink with added sugars and flavorings, they can be a real calorie-busting addition to your diet. Add the fact that it essentially has no nutritional value, you may want to think twice about indulging in this treat too often. Is this the inventor of bubble tea?